↑ UK Census (2011). 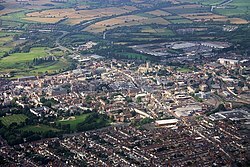 Local Area Report – Gloucester Local Authority (1946157375). Nomis. Office for National Statistics.